The Global Coalition to End Cervical Cancer (GC3) is a nonprofit organization dedicated to a vision of a world without cervical cancer. GC3’s mission is to promote longer, healthier lives of all women by increasing access to cervical cancer prevention, control, and care services globally. GC3’s ONE campaign focus is to give all women at least one intervention against cervical cancer in their lifetime. This intervention can come from one vaccine schedule or one screening. By connecting health experts to policymakers in the field, GC3 believes that cervical cancer can be reduced 25% by 2030 and 50% by 2050. WDG partnered with GC3 to redesign the organization’s WordPress website, provide content direction, and establish a digital strategy. The GC3’s website is the organization’s primary digital networking tool. The website provides a platform for interested partners and participants to get involved in GC3’s mission. Informing audiences about the preventability of cervical cancer. Showcasing partners with visual data, titles, and expertise information. Encouraging engagement with people who are dedicated to women’s health and validating the impact of their engagement through frequently updated project pages. Creating space for factsheets, technical whitepapers, and other resources to be easily accessed and filtered. Clearly presenting contact and engagement opportunities. Providing information on GC3’s impact to date, as well as news about cervical cancer. 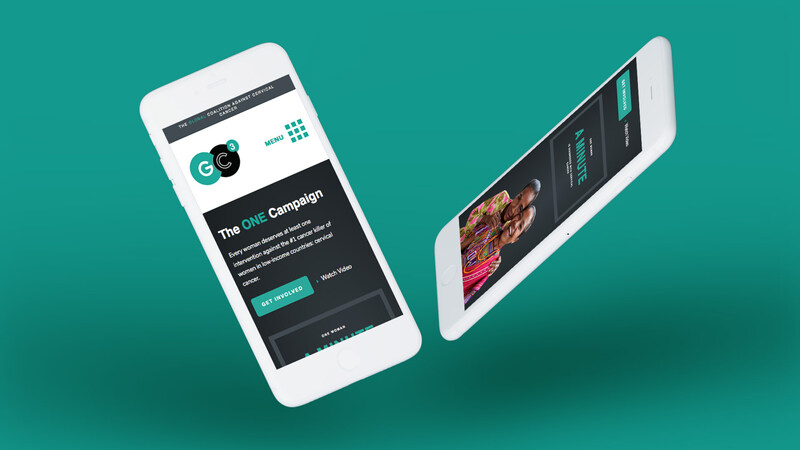 WDG designers focused on creating an elegant homepage which showcased the global nature of the ONE campaign. 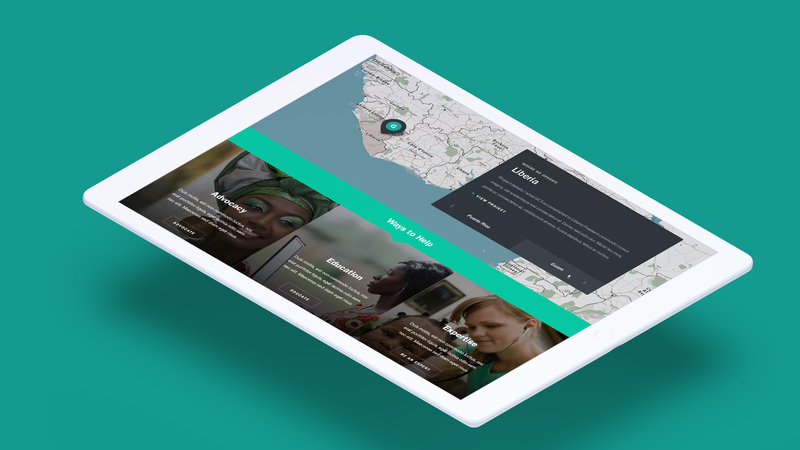 Whether a doctor is looking at networking opportunities on their tablet in Central Africa or a public health expert in China wants to learn more about cervical cancer screening policies on their mobile phones, users will be able to easily navigate and engage with the new GC3 website. The strategy and content team focused on message visibility. The “ONE Person, ONE Intervention” campaign is reinforced throughout the site. GC3 wants their audiences to come away with more knowledge than they started with when they visit the website. The WDG content team created and populated pages to support GC3’s networking and educational processes. The website showcases the breadth of GC3’s connections. The Global Coalition to End Cervical Cancer isn’t just comprised of GC3 leaders; they are health experts, policymakers, and educators from around the world. Every carefully curated image, call to action, and description connects with policymakers, experts, survivors of cervical cancer, and people who simply are interested in supporting a campaign to end cervical cancer globally. Want to boost your nonprofit’s web presence with specialized strategy and design? Contact us to start a project or see more of our work with nonprofits.